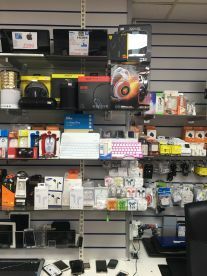 All of our repair technicians are wholly skilled and have years of experience under their belts to diagnose and fix your electronics. 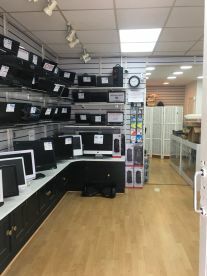 Housed in the local area, we’re one of the best electronics repair services in the region. 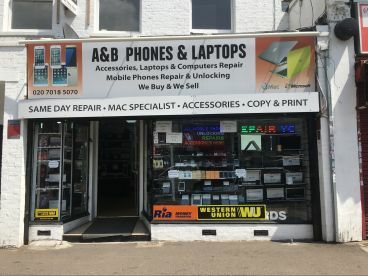 We pride ourselves on our tech-savvy diagnoses and aim to supply exceptional service, placing our customers’ needs at the heart of A&B Phones & Laptops.\n\nWe pride ourselves on our straightforward and speedy repair service. 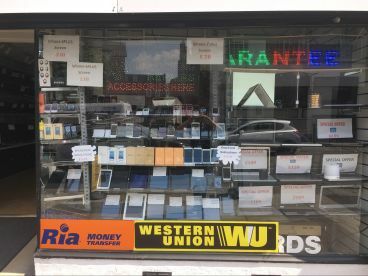 Be that as it may, sometimes repairs might not be the only option you want to try out, and you might qualify for an upgrade or a trade in. 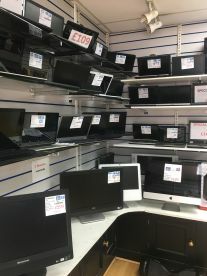 Just get in touch with a member of our customer service support team and we’ll be happy to walk you through your options, offering a no-obligation, complimentary session.\n\nFrom screen replacements to laptop software installation to charging port replacement, our efficient technicians cover it all, for a decent price. We don’t just provide hasty mends that can relapse within a fortnight: we offer quality repairs that last longer than others, thanks to our technicians’ training and experience. Therefore, the quality of our repairs match our prices: you won’t find anyone else who ticks all the boxes like we do! Please note that A&B Phones & Laptops may not be able to honour booking requests made.